I have a college level background in Biology, say at the level of Campbell. I am very curious to know why it's extremely difficult to develop vaccines for certain diseases. Two cases which I am really interested in are Malaria and AIDS. It would be great if someone can give a brief sketch of the major issues being faced without getting into extreme technicalities. Thanks in advance. Not an easy question, especially since the reasons for both pathogens are different. Its not known, which parameters are really important to raise an adequate immunity. HIV has a very high mutation rate, which results in many different subtypes. This makes the virus extremely successful, but also causes problems for making vaccines. We have a similiar problem with vaccines for the flu, but there the number of subtypes is known and not very high. Still we need a new vaccine for each season based on the current viruses. For HIV there are no knwon proteins against which immunity can directed like in the case of the flu. HIV also recombines very fast, so new variants can come up pretty fast. The HI virus targets cells of the human immune system (namely CD4 T-cells) which are important for developing a proper response to a vaccination. These cells need to be stimulated, but on the other hand are destroyed and specially targeted by the virus. To develop and test good vaccines, scientists need good animal models to test the pathogen and see the effect of a treatment. Chimpanzees show some response to HIV infections, but they are expensive to keep as laboratory animals and also rare to get. The problem is, that HIV is pretty good adapted to its human host. This is more an ethic problem, but still needs to be adressed. To test the efficiency of new drugs, double-blinded placebo controlled test are done. Afterwards you can compare the placebo group to the treatment group and analyze the outcome. How do you do this with a deadly disease? More information can be found on this webpage from the NIH. Its not clear, against which antigens such a vaccine shoud be directed. This is due to the problem with the different stages and hasn't been found yet. There are four forms of plasmodium which definitely cause malaria - : Plasmodium falciparum, Plasmodium vivax, Plasmodium ovale and Plasmodium malariae. 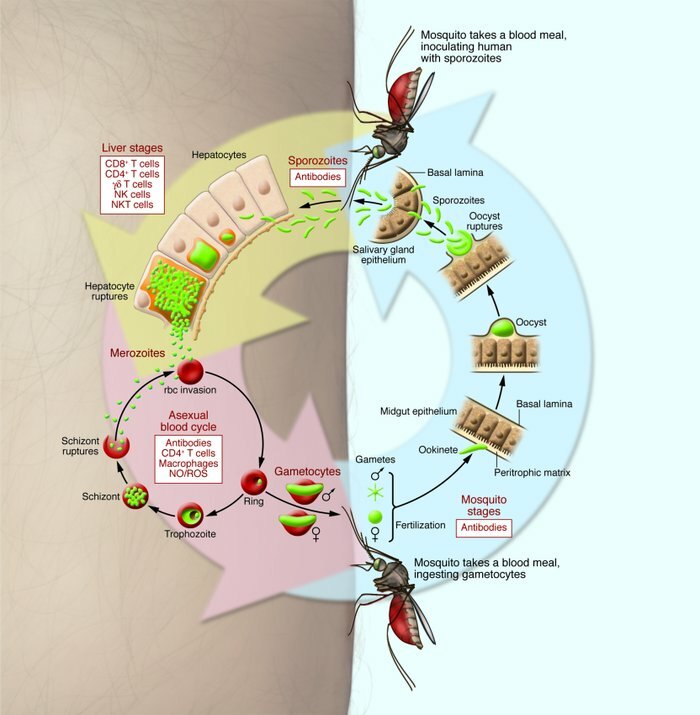 Newer results suggest, that Plasmodium knowlesi is also a pathogen for humans. Is it possible to combine live attenuated and non-live vaccines? How are vaccines and inoculations different? Why are vaccines for polio taken orally while vaccines for TB need to be injected? Which vaccines are damaged by freezing?